Earlier this month, we published news about an issue with certain Nissin anti-lock brake system modulators that have been connected to recalls in Canada and Japan from Honda, Suzuki and Kawasaki, with the possibility of it expanding to further models and manufacturers using the same component. The National Highway Traffic Safety Administration has now released documents from American Honda’s recall of ABS-equipped CTX700 and CTX700N that shed some more light into the issue. According to the documentation, a manufacturing error may have resulted in Nissin ABS modulators being contaminated with aluminum chips. These tiny pieces of metal could become lodged in the inlet or outlet check valves when brakes are applied, interfering with ABS performance and potentially allowing wheels to lock. 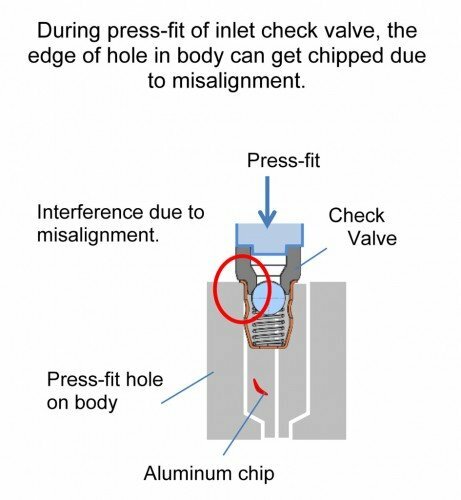 The aluminum chips were formed from a slight misalignment in the machinery that inserts the brake fluid inlet check valve in modulator body. 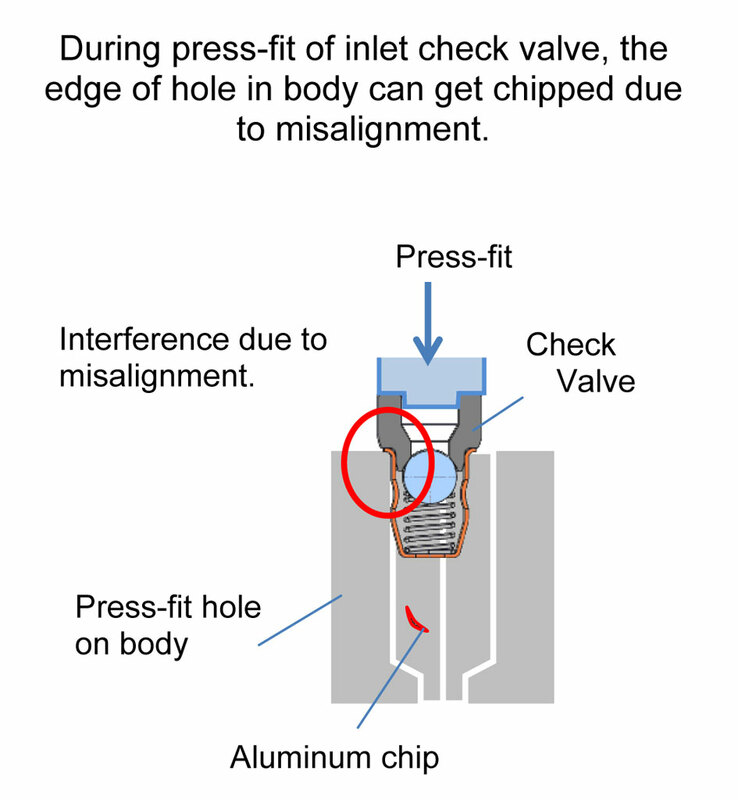 The misalignment may have caused the valve to chip the edge of the body (refer to the diagram below). 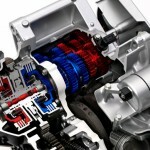 Nissin notified Honda Motor Co. on May 24 it was investigating a potential manufacturing problem with the ABS modulator. On May 27, American Honda halted shipments on new unsold vehicles while its parent company and Nissin conducted an investigation. On June 10, Honda asked Nissin to study the final symptoms of the problem and the probability of ABS malfunction. On July 8, Honda concluded the defect affects vehicle safety on certain vehicles and initiated a recall. 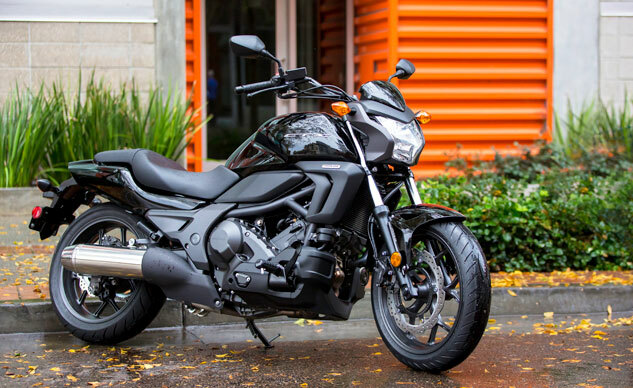 Honda will contact owners who have received CTX700N and CTX700 models with the ABS and dual-clutch transmission package, asking them to bring their motorcycles back to receive a replacement ABS modulator. 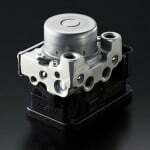 The U.S. recall affects 235 units. At this point, NHTSA has released no information on any other vehicles that may be subject to further recalls. 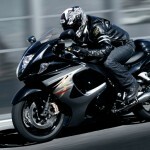 In Canada, Suzuki has issued a recall on the Hayabusa which also uses a Nissin ABS modulator; a similar recall may soon be announced for the U.S. 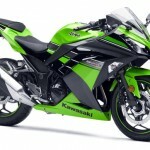 Meanwhile in Japan, Kawasaki issued a similar recall for ABS-equipped versions of the Ninja 250. 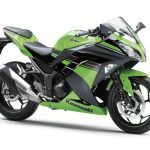 The Ninja 300 which is available in the U.S. shares nearly all of its components with the 250 offered in Japan, so ABS-equipped versions of the 300 may also be subject to a recall.